Speaking at a news briefing at the Chinese Embassy in Moscow, Xie Xiaoyan, the Chinese Government' Special Envoy on the Syrian Issue, has signaled Beijing's willingness "to do its best" to contribute to ordinary Syrians returning back to normal life. "Many people have died, millions have lost their homes or become refugees, and they all need humanitarian aid. As a member of the UN Security Council, China has always paid attention to providing humanitarian assistance both to Syrian citizens and refugees in the form of goods, medicine, food and money," Xie stressed. 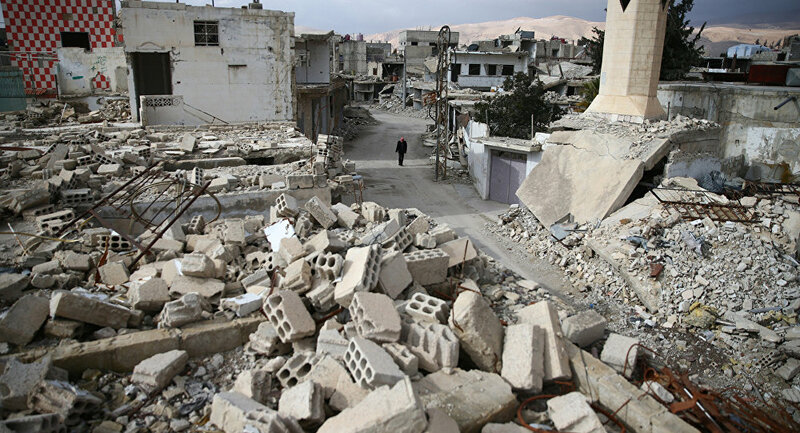 Xie said he expected the total restoration of Syria to cost about 260 billion dollars. "China is ready to become a driving force in this process and involve its companies in the restoration work in Syria as soon as the security situation improves there. Apart from China and Russia, the countries of the region should also take part in the process, because only together we will be able to restore Syria," Xie concluded. The civil war in Syria has lasted for around six years, with government troops fighting against numerous opposition factions and terrorist organizations such as al-Nusra Front* and Daesh*. Russia kicked off a military campaign in Syria in late September 2015 at the request of President Bashar Assad to fight terrorist militants. For the past two years, a Russian Aerospace Forces group has performed hundreds of airstrikes, helping to liberate more than 90 percent of Daesh-held territory. According to the Russian Defense Ministry, more than 54,000 terrorists were killed during joint operations in Syria. Russia continues to help Syrian civilians by delivering tons of humanitarian aid and providing medical support to the Arab country on a daily basis.